Beginner-Friendly Harmonium Lead Sheet for "Mul Mantra"
So after I made my beginner-friendly harmonium lead sheet for Guru Ram Das, I got a request to make one for my Mul Mantra. 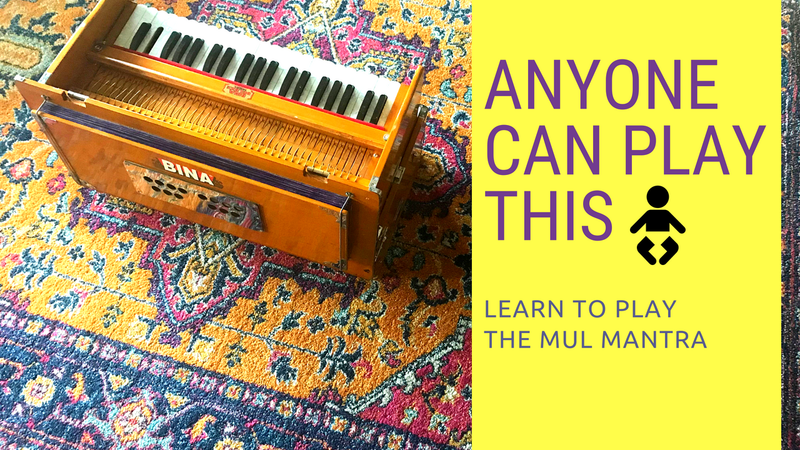 First off, if you don't already know, you can get a FREE download of my Mul Mantra (11 Minutes) HERE on my website. It is the mantra for removing the effects of non-liberate thoughts, or "karma." I made the lead sheet as a download on my site, and the video tutorial explains how to use it. I am getting better and better at video editing, so this is the product of some of the my first "trys." I'm excited to improve!